It might have been wet and windy in Rio, but dang, the closing ceremony still looked fun. It was a bittersweet time for many: the athletes, the media figures who have been covering the festivities, and — of course — those of us who have camped out of in front of the television for the past few weeks. In addition to tuning into the coverage, check out these amazing behind-the-scenes photos of the Rio closing ceremony to really feel like you're there for the Olympic send off. 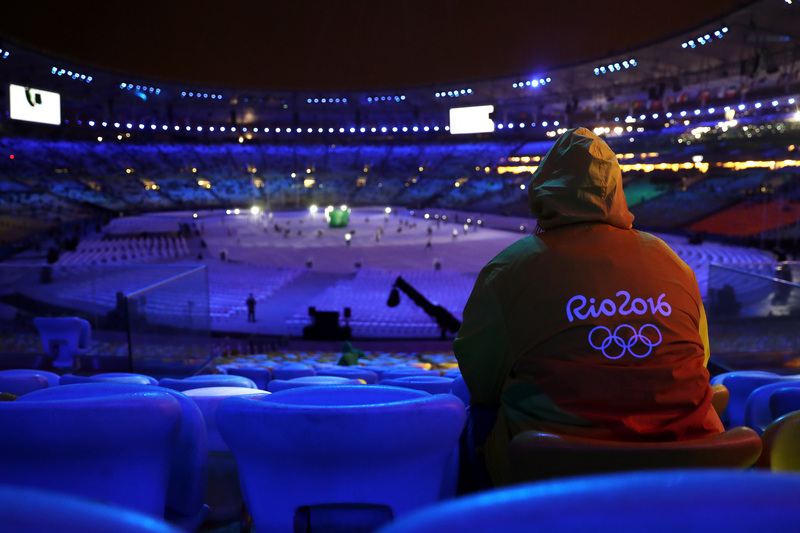 While the opening ceremony introduced us to many of the athletes who would compete in the Olympics, the closing ceremony was a veritable who's who of the sports world. There's no more, "Wait, who is that again?" when you see Katie Ledecky, Simone Biles or any of the other athletes who have repped team USA in the games. And though we got to see them march into the arena one last time (or, one last time until four years from now), there was plenty going on before the big show. One of the tweet-worthy photos a few athletes have snapped has been the bus trip over to Maracana Arena. Not exactly super glamorous, but it's still a sweet look at the camaraderie that has developed in Rio de Janeiro and the final moments of a career-defining experience. See? It's kind of like a field trip. Except one that only absurdly talented athletes attend. You know, probably a lot like yours were when you were a kid. Did I mention that it was raining? Some of the athletes snapped pictures of their weather appropriate garb. Their spirits don't seem, uh, dampened by the rainy weather. Plus, how amazing are these kicks? The news crews and media figures also took the opportunity to remind you that yes, they stayed in Rio until the bitter end. Most importantly, to remind us that Ryan Seacrest never, ever sleeps. Farewell, Summer Olympics! We already miss you.